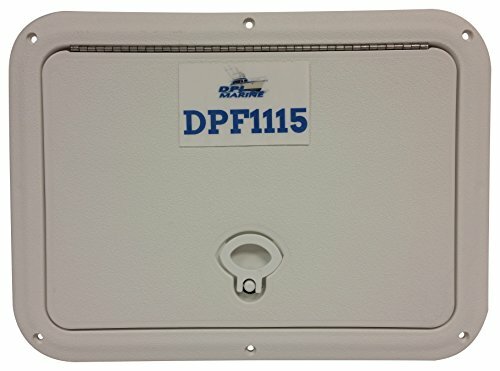 Dpf flush Series door comes with an improved gasket system for water resistance, and reinforced ribs for improved stiffness. This product is impervious to harsh weather. Lowest profile door for a safer boating experience. Outside dims: 11" x 15"
Inside dims: 7 1/2" x 11 1/2" cut out reqs: 9 3/8" x 13 3/8"
If you have any questions about this product by DPI Marine, contact us by completing and submitting the form below. If you are looking for a specif part number, please include it with your message.